A few weeks ago I wrote a post introducing the Medieval Institute’s new Medieval Undergraduate Research website (now the “Undergrad Wednesdays” series on this site) and encouraging instructors to use it for course assignments that will boost their students’ Digital Humanities (DH) experience. Because DH experience has been crucial to the success of recent medievalist PhDs on the job market, this two-part follow-up post will focus on the value of DH work for them so that they can collaborate with faculty mentors to expand their online presence using this site, the Medieval Institute’s Medieval Studies Research Blog (MSRB). Whereas part 1 makes the case that more faculty should take advantage of this site’s pedagogical potential, part 2 offers specific ideas for incorporating this already active scholarly platform into graduate-level pedagogy. For many reasons, involvement in DH is no longer optional for rising scholars specializing in the Middle Ages. Tenure-track job ads these days regularly mention DH as a desired subspecialty if not a major component of candidates’ professional profiles. 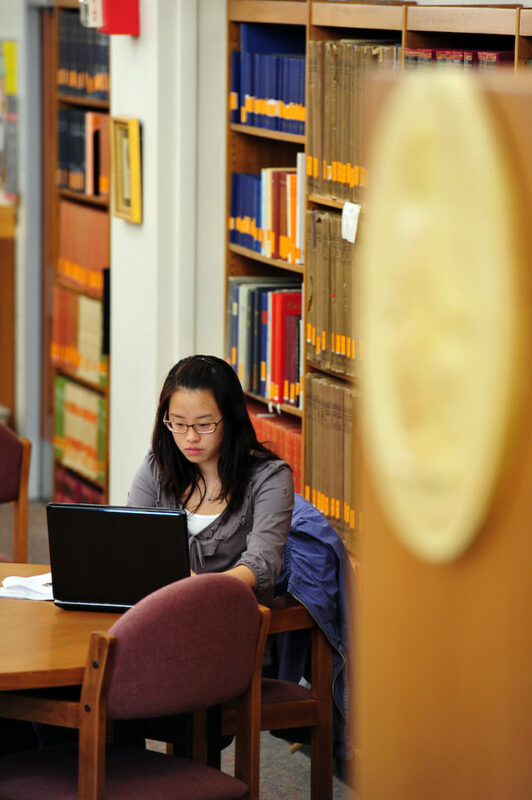 As students increasingly pursue other career options, DH skills become even more important. Publishers, libraries, museums, non-profits, and university administrations rely heavily on technology, necessitating, to extend Geoffrey Rockwell and Stéfan Sinclair’s point about DH degree programs, a newer, broader approach to professional acculturation. There is, in fact, a legitimate sense of urgency behind many graduate students’ desires to pursue DH work matched by an equal level of responsibility demanded of humanities programs to support their efforts. While not all graduate students seeking DH experience intend to (or even need to) specialize in the field, they nevertheless could benefit profoundly from at least some exposure to and hands-on experience with projects that merge technology and humanities research. This site offers one step in that direction, providing a digital platform backed by a major research institution that graduate students can integrate into their training from early on in their program, even at the coursework stage. The pressures coming from the academic and non-academic job markets stem, in large part, from a growing demand for humanistic work to become more public and more accessible. Nicole Eddy, this site’s original administrator and the new Managing Editor of the Dumbarton Oaks Medieval Library series, points out that “academics are called on more and more to be not just scholars but Public Humanists, making a case for the significance of their work outside the academy and in new and creative ways. It is no longer sufficient to confine scholarly activity to the classroom or the academic journal, but to instead show the ability to engage with a diverse audience in creative ways.” She also notes that because dissertations tend to be written for specialist audiences, contributing to projects such as this site can expand the reach and impact of our work. In a broader sense, then, the digital humanities matter because they can deliver our work to a public audience in order to serve a wider community beyond the walls of the academy. Indeed, multiple DH practitioners have commented on the field’s ability to return us to the original spirit of humanism: “the digital humanities might yet again be set to embrace the methods and outlooks that the very first Renaissance humanists took up: to use modern communication skills–digital iterations of rhetoric and grammar–supplemented by the creative arts of the imagination and the reflective wisdom of the historical outlook to reach contemporary audiences with interpretations of what it is to be human and what it is to be a responsible citizen.” With its ability to reach readers both within and without the academy, this site treats public writing as a core function of humanities work, making the relevance and value of our research more transparent. But, what, exactly, is the Medieval Studies Research Blog (MSRB)? As our “About Us” page suggests, it is an active scholarly platform for scholars at any stage of their careers. What this means is that graduate students who write posts for a course assignment contribute to a DH project that will attract immediate readers. Rather than performing a practice, or exploratory exercise, this particular professional development experience leaves students with an online publication they can list on their CV and a greater confidence in their capacity to bring research to life. Students posting to this site share company with advanced scholars, such as Maidie Hilmo, whose groundbreaking work on the Pearl-Gawain manuscript is documented here. To our benefit, many of our visiting scholars have contributed their voices, including Richard Cole and Katherine Oswald, with even more scheduled for the coming months. Most of our posts relate to the authors’ current or recent research, written to stake a claim on a certain topic, gain a wider audience for recent publications, or develop an idea they could not fit into their last article. Others write on original topics better suited to the blog format than the academic journal, such as Andrea Castonguay’s contribution on interdisciplinarity, or to take advantage of the genre’s multimedia possibilities as in Richard Fahey’s post on South Bend. Still others write with the goal of creating supplementary background readings that undergraduates could read in their courses. Thus far, we have also created two special series– one on “Working in the Archives” and another on the “North Seas”–as well as a growing and evolving translation and recitation project. 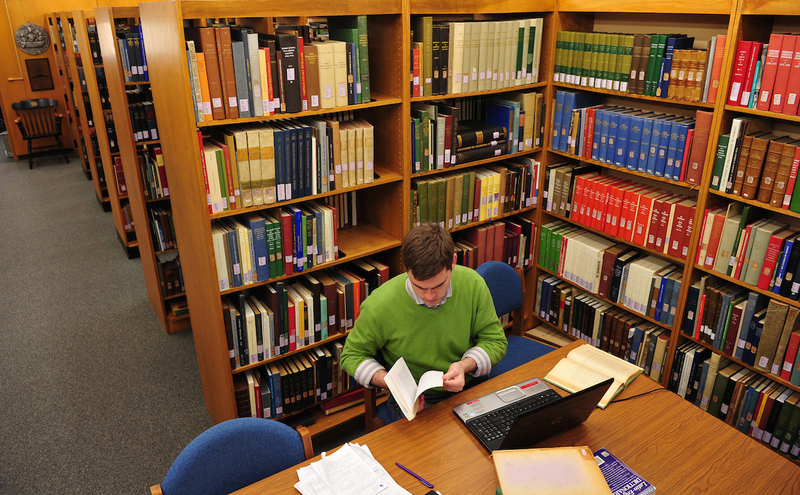 Graduate students contributing posts (or translations) to the MSRB, therefore, participate in the project as and alongside other scholars. Depending on how instructors frame their assignments, thoughtful implementation of the MSRB in the classroom could meet multiple learning outcomes at once. The MSRB could be used to naturally integrate digital genres into our graduate students’ training in a way that helps them to craft a public as well as academic voice. By giving them the opportunity to maintain their digital presence and write for new audiences, this project can enhance their work as researchers, as instructors, as collaborators, and as public servants. For questions, posting schedules, or class visit sign-ups, feel free to contact me at kfuller2@alumni.nd.edu. Also, follow us on Twitter: @MedievalNDblog. Geoffrey Rockwell and Stéfan Sinclair, “Acculturation and the Digital Humanities Community,” Digital Humanities Pedagogy: Practices, Principles, Politics, ed. by Brett Hirsch (Cambridge: Open Book Publishers, 2012): 177-211. Claire Battershill and Shawna Ross, Using Digital Humanities in the Classroom: A Practical Introduction for Teachers, Lecturers, and Students (London: Bloomsbury Publishing, 2017): see esp. 147-48. Private correspondence. Quoted with permission. Eileen Gardner and Ronald G. Musto, The Digital Humanities: A Primer for Students and Scholars (Cambridge: Cambridge University Press, 2015): 13. For a similar statement, see Anne Burdick, Johanna Drucker, et al., Digital_Humanities (Cambridge, MA: MIT Press, 2012): 25-26. Many thanks to Erica Machulak for her detailed feedback on this post. The Medieval Institute recently launched a new website, Medieval Undergraduate Research, to provide a new community platform for undergraduates studying any area of the Middle Ages. Pedagogically, one of its purposes is to help instructors introduce a new kind of writing assignment in the classroom: the blog post. The recent rise of the digital humanities (DH) has placed particular pressure on medievalists to pursue new scholarly pathways, not only in their own scholarship, but also in the classroom as well. One simple way to increase students’ DH experience is to give them writing assignments based on digital genres. Translating foundational humanities skills–critical thinking, reading, and writing–into newer online platforms, prepares students for a job market that increasingly expects them to be able to communicate effectively in digital mediums. On this site, posts, carefully revised and edited with help from instructors and myself, the site’s Webmaster, become mini-publications that students can add to their resumes as evidence of their ability to write professionally for a wide audience. Faculty can also use the blog post to encourage students to think about the course material they are learning in an alternative format, not with the intention of replacing the traditional academic essay, but rather as a supplement to it. In fact, many of the standard elements of a conventional assignment could be incorporated into these posts as in the sample assignment provided below. However, students should pay careful attention to audience as the platform encourages students to write “with a different voice and tone than they might use in a traditional essay” and to “explore the multimedia possibilities offered by” the genre. Certain assignments, crafted with an eye towards interlinking and online research, could even focus on developing students’ digital literacy, finding, reading, and evaluating the quality of their online sources. 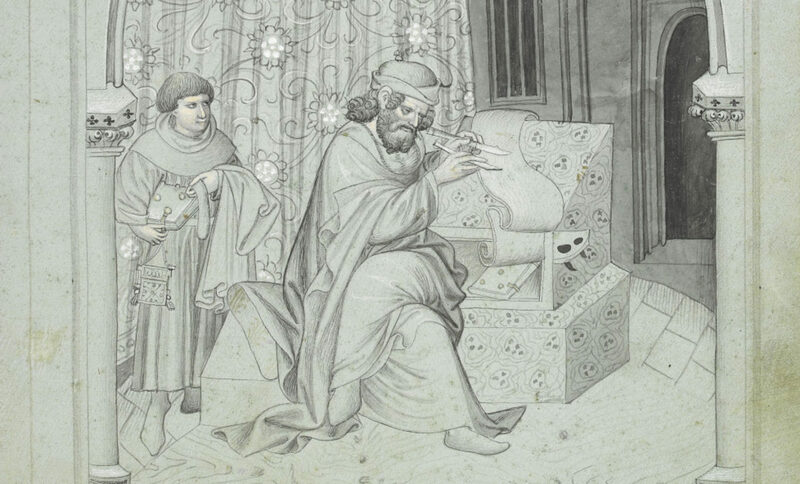 Translation Critique Project for Blog: You can write this blog post either on Pearl or Gawain. There are two parts to this: you will translate a passage of your choice and then comment on the various stylistic devices used by the poet in one of the passages given (e.g. word play, metre, rhyme, stanza structure, imagery). Then you will write a critique of Marie Boroff’s translation (she is considered the best American poetic translator of Middle English). A copy of Boroff’s translations can be purchased inexpensively and one will also be placed on Reserve in the Library; however, her Gawain can also be found in any edition of the Norton Anthology of English Literature. You may wish to look at Boroff’s introduction to her text, where she gives the rationale for her approach. You will want to consider the problems of literary style, accuracy, faithfulness to the medieval poet’s text, and the demands of modern English in your analysis, and you should have no fewer than five examples to illustrate your views. (The Middle English Dictionary and the Oxford English Dictionary are good resources for this type of research as well). The length of this assignment is about 1000 words, so not very long, and we are going to post the best of them online on the ND Medieval Institute’s blog website (Medieval Undergraduate Research), with the help of Dr. Nicole Eddy [the site’s former Webmaster]. And we will put the appropriate image from the Pearl or Gawain manuscript with your post, or perhaps other appropriate images. See: http://blogs.nd.edu/manuscript-studies/undergraduate-research/. Some reflections on a manuscript reproduction project completed for a “History of the Book” course at St. Mary’s College across the street are currently joining those translation critiques. These posts, written under the guidance of Sarah Noonan, reflect on the process of manuscript production from the materials (parchment, ink, etc.) to the artistic decisions that go into designing the mise-en-page. Next semester, I will require students in my Canterbury Tales course to write blog posts that close read a short passage in lieu of one of the shorter close reading essays I typically assign. Historians, theologians, and philosophers will likely approach the blog assignment differently, and we welcome disciplinary diversity. We hope to gain wide interdisciplinary coverage that represents the full breadth of Notre Dame’s medieval curriculum. Instructors using this site as the basis for course assignments should feel free to experiment with a range of traditional and creative prompts. We are also open to accepting work performed for extra credit, so long as the submissions undergo revision based on feedback from an instructor or TA. Individual students are invited to send us individual submissions based on successful work they performed for their classes, such as a major research project, or an analytical essay, revised to match the length and tone of a blog entry. Moreover, in the coming months, we plan to roll out a supplementary classroom visit program for which I, or one of my regular contributors, will give quest lectures. Our presentations will consist of a twenty-minute talk about how to set up and write a successful blog post in WordPress. This program will provide an additional resource for faculty who want some extra support implementing their technology-based assignments. We are, of course, far from the first ones to suggest blog posts as course assignments (see what others have said, here, here, and here). However, as opposed to some of the more informal models in common use (weekly reading responses, daily prompts, etc. ), all of which serve valuable purposes, the posts for this site are meant to be more formal and involved. As a centralized hub for undergraduate bloggers at Notre Dame, these carefully revised and polished contributions are meant to function more like mini, peer-reviewed publications. With this goal in mind, we encourage faculty and undergraduates to participate in this project and are eager to work with you at any stage of the process. Update 5/4/18: Here is an extra credit assignment also in use for the undergraduate site. Claire Battershill and Shawna Ross, Using Digital Humanities in the Classroom: A Practical Introduction for Teachers, Lecturers, and Students (London: Bloomsbury Publishing, 2017). Brett, Hirsch, ed., Digital Humanities Pedagogy: Practices, Principles, and Politics (Cambridge: Open Book Publishers, 2012).